Since I was going to fly Royal Brunei on KUL-BWN route, I thought I should do some domestic flights. Malindo Air came into my mind at once and after seeing Flyroni's trip report on it, I decided to go for it. The question was which route should I do!? After some thoughts, I decided to pay a visit to Penang. The last time I was there was many years ago and I couldn't remember much so that was it. What I had to do left was to do the booking. The airline was actually offering quite low fares, my original booking was on the 3rd to 5th November, flying the ATR72-600 and Boeing 737-900ER. However, I had to forfeit the flight (non-refundable) because Royal Brunei's 787 Dreamliner was no longer flying on the 1st November and would only be flying both morning and evening flights (BWN-KUL) on the 8th, that means I had to buy new tickets and instead booked myself on the 9th and return back to KUL on the 11th, this time flying both 737-900ERs. After having a good time on board Royal Brunei's 787 Dreamliner! Reality hit me and it took me a realize that I was flying on a narrow-body this time. However, after checking the fleet info of the airline, I was looking very forward to flying with this airline. All the aircraft have the BSI (Boeing Sky Interior) so if you are looking for the experience, go for this airline. I was quite early when I did the check-in. About 5 hours to be exact, but the nice check-in counter staff allowed me to check in and soon I was at the air-side doing my usual photos for my trip report. At first I thought this aircraft, 9M-LHL was my aircraft but it pushed back and headed to Kota Kinabalu but not long after, 9M-LNK came in and it turned out to be my ride. Boarding was fast, doors were closed as soon as it could but the aircraft pushed back late due to late arrival of the aircraft. Nevertheless, the crew on board were cheerful and the ones in front were friendly, keeping us update constantly on the flight progress, that's how every flight should be like! Aircraft was pushed back and we taxied to runway 32R for the short hop over to PEN. Now its time to explore the cabin's interior! Comfortable leather seats and the combination of the seat colours is stunning. The legrom space is decent, its about 32 inch. Didn't explore but the system was working until the preparation of landing. You could use it from the departure gate. Legroom space is good enough for short-medium haul flights. The IFE system is free to use, only thing is you have to use your own earpiece. Similar to the Boeing 787's. The sky interior gets my thumbs up! 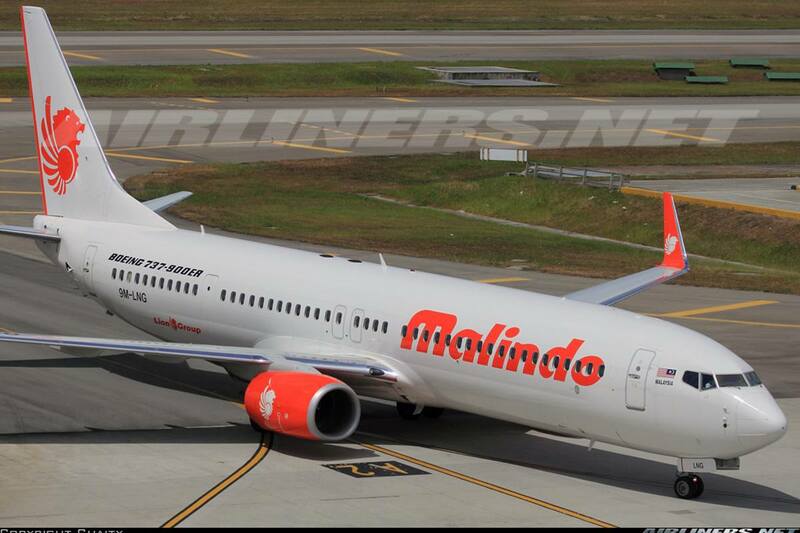 Welcome on board, Malindo Air! Just the safety card inside the seat pocket. I reckon this is the nicest interior comparing with other 737NG (Next Generation) operators. Got to say I am very impressed with the cabin. I didn't expect it to be so nice; the combination of the Sky Interior and the comfortable seats with PTV. A bassinet in the toilet is always convenient for couples with babies. Luckily for me, the flight was smooth and the cabin crew were cool with me going around the aircraft snapping photos. One of them asked me whether I was an aviation enthusiast and were curious about my flight blogging activity. Complimentary snack and drink were served. I was pleasantly surprised that small snack and drink was served. For short flights like this, my source of entertainment comes from the window! The Boeing 737-900ER rested for a while before it returned to KUL. Quite a pleasant airport to be in, just like Johor Airport that I visited earlier. The airport may be small, but its easy and fast to get from the land-side to the air-side. Free wifi is also available and unlike KUL, there is no time limit for the usage. KUL's wifi is only 3 hours free per day. ATR72-500 and -600 in action! Air NZ's ATR72-600 delivery flight to AKL. PEN was one of the many stops on route to AKL, I very lucky to catch it. Using my Ipad and I checked what registration was I flying back. The service on board this flight was similar to my previous flight. Most of the crew were pretty ok but reserved. I accidentally spilt some water on my pants and one of the staff without thinking, passed some serviettes to me even though I told her I was fine. I enjoy such service, initiative is important - going the extra mile to help the passenger certainly helps! The rest of the flight was uneventful and we landed in KUL early. Both flights simply went passed too quickly for my liking. Here are some of the window-shot photos taken on this sector. 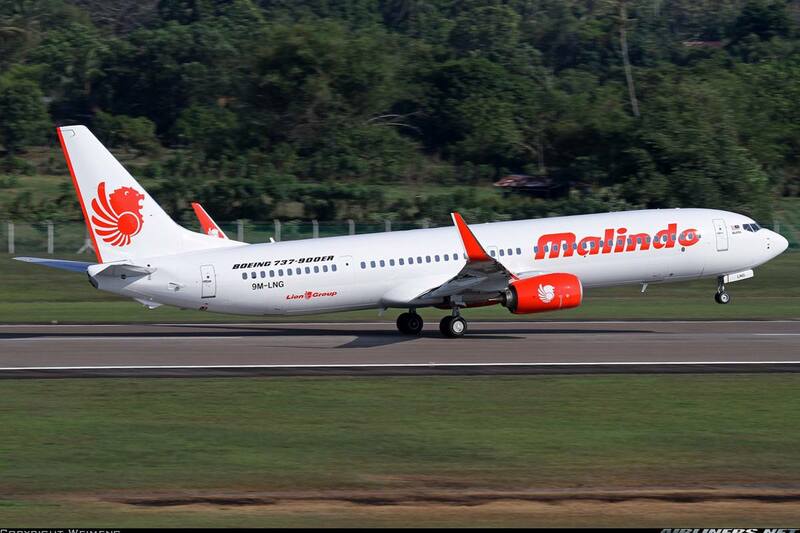 Malindo Air is not a budget carrier which many think they are. Its an airline between the premium and low cost but the airfare can be cheaper than Air Asia and Malaysia Airlines depdning on the period you are flying on. Even though both flights were short, I am impressed with the airline especially with the in-flight product. Its seems t be more suitable for medium haul routes and the airline seemed to be managing better than its owner, Lion Airlines. Batik Air is also another subsidiary of the Lion Air group. The reason for that is the ambition of the parent company to expand and compete with its fiercest rival, Air Asia. This airline which is based in KUL will certainly give Malaysia Airlines and Air Asia the run of their money. Meanwhile, the current network may be small but that would change in the near future. The airline at this time (Dec 2013) has plans to fly to Hong Kong, Bangkok and Singapore soon. I would definitely recommend this airline to anyone. Check out more info of this airline at the website. You can either fly out of KUL (Boeing 737-900ER) or SZB (Subang Airport which is also in KL) (ATR72-600).There seems to be a higher demand of flights flying in and out of SZB as the crew told me that more passengers prefer using SZB whenever they travel to Kuala Lumper, as its nearer to the city area. That explains the higher airfare of flights flying out of SZB Airport. In December 2013, the airline had launched KUL-DAC (Dhaka) and with more aircraft entering the fleet, we expect more routes being introduced and frequency on popular routes increasing. Thank you for reading my trip report.